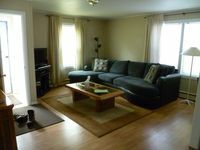 Property 8: Fully Furnished, Central Location, Easy Access To Anchorage's Many Attractions! Property 14: Family Friendly South Anchorage Home, Centrally Located For Your Ak Adventure. Property 16: Spacious & bright, family friendly Anchorage home! Peaceful, quiet location! Property 18: Sea Wolf Inn, A litlle bit of Home right here in Alaska. Property 20: 2000 Sq/Foot 3 Bedroom 2 Bath Water-Front House! Property 21: Chugach Foothills Chalet -- a charming, quiet east Anchorage retreat! Property 22: Mid Town Anchorage. Close to everything. Property 30: Home To Success is located East of Midtown of Anchorage. Property 42: The Modern Moose, premium home close to airport. 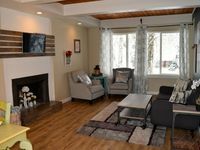 Property 43: Remodeled Anchorage Home w/Yard & Fireplace in DT!